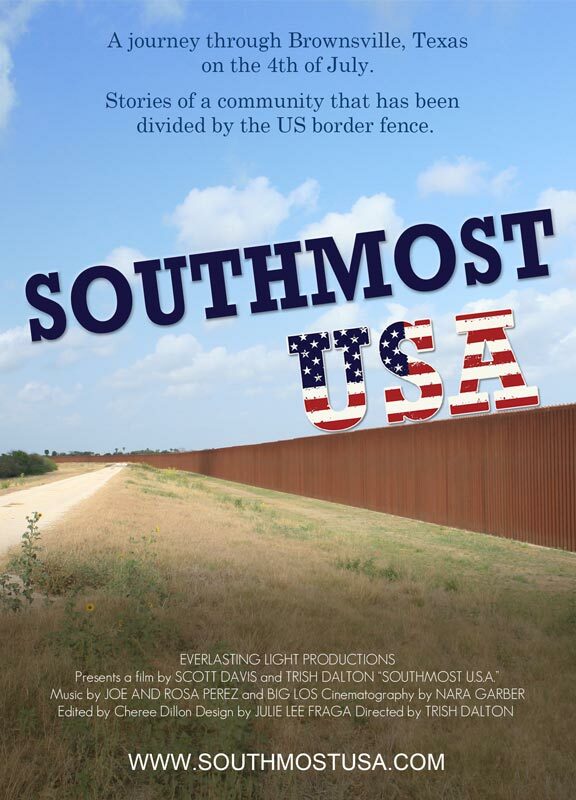 A journey through Brownsville, Texas on the 4th of July, introducing a community divided by the US border fence. While local residents prepare for the independence day parade, picnics, and fireworks, they reflect on their frustrations with the border fence, discussing the many repercussions it has on their safety, property rights, families and freedom, as well as what the fence means for America and the relationship with Mexico. In certain instances, the border fence prohibits landowners and public workers from accessing the property they live and/or work on. One landowner, Pam Taylor, lives near the Rio Grande and her entire property has been separated from the U.S. by the fence. Her and her daughter, Michelle, rely on the border patrol to guard them and their land, but they feel abandoned by the government and concerned for their safety. Similarly, Eloisa Tamez’ family feels unlawfully treated, because the fence separates her home from her land along the river, that has been in her family since 1767. Despite the harm that the border fence has caused them, the people of Brownsville, many of them veterans with Mexican roots, celebrate proudly on the fourth of July. Evocative images of the fence and stories from local residents offer a contrasting perspective to the current political debate about the US border fence.